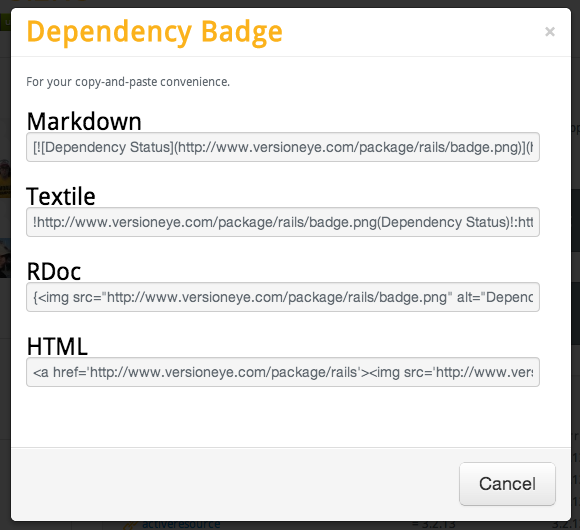 VersionEye has now new dependency badges for Java, Ruby, PHP and Node.JS. You will find them on every package page. They look like this. They badges are showing you immediately if the dependencies of a software library are up-to-date, out-of-date or unknown. By clicking on the badges a popup will appear with code snippets for the most used markup languages. Just use copy and pate to add the badges to your GitHub Readme.md or another HTML page. The badges are also available for your VersionEye projects, if they are public. 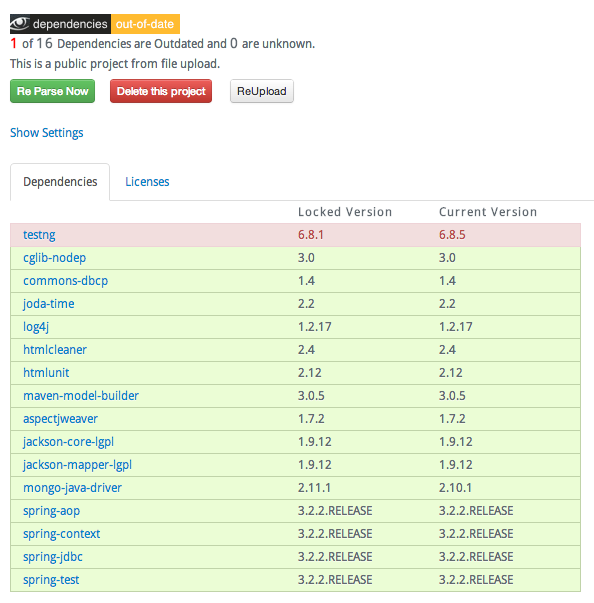 A project is up-to-date if all his dependencies are up-to-date.